We all know our eye health is important, but often we need a little nudge to do something about it. That’s where National Eye Health Week comes in – it runs from 24th-30th September this year and serves as a timely reminder that our eyesight needs to be frequently monitored. And that means regular eye tests. How do I know if I need an eye test? The NHS recommends we all have our eyes tested every two years. So if you haven’t had an eyesight test for two years or more, you need to get on the phone and book one in. Some eye conditions require more frequent eye tests. 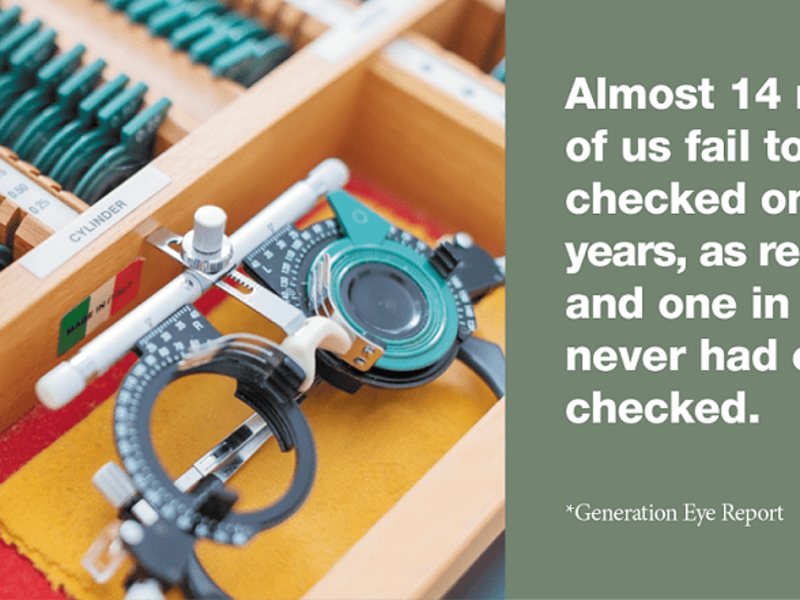 Although certain groups of people are more likely to develop eye conditions, due to family history and lifestyle, the truth is that everybody needs regular eye tests. The NHS has schemes in place to help you with the cost of eye tests, so it’s worth checking if you qualify. When we think about healthy eating, exercise, and our general wellbeing, we rarely think of our eye health. Yet what we put into our body, the amount of exercise we take and the units of alcohol we consume all have a bearing on the health of our eyes. Eggs, brightly coloured vegetables, leafy greens and oily fish are all great for the eyes. Antioxidants, especially lutein are key for eye health. Exercise is important, particularly in the over 60s, as there’s a possibility of it reducing the risk of sight loss from conditions like diabetes or high blood pressure. Smoking carries one of the biggest dangers: after ageing, smoking is the highest risk factor in developing macular degeneration. We all know that the sun can damage your eyes, so it’s essential to protect them as much as possible. Wear sunglasses on bright days and on the ski slopes, and check your sunglasses are branded with the CE mark – this guarantees you are getting the right level of ultraviolet protection. Two million people in the UK are living with a sight loss that affects their everyday lives. It is believed that half of these situations are avoidable, and through National Eye Health Week, we hope to raise awareness of the importance of regular eye tests. At Leightons, our eye tests not only detect changes in your vision, but also check for signs of glaucoma and cataracts, while screening for any underlying health issues, like diabetes. They are performed by our experienced and friendly team of optometrists and typically take around less than half an hour – plenty of time to pop along in your lunch break! To book your Leightons eye test, please call us on 0800 40 20 20, book your appointment online or pop into your nearest branch today.